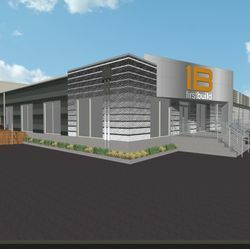 LOUISVILLE, KY—DATE—(NYSE:GE)—Just two years after GE Appliances announced an $88 million investment in new product manufacturing and the addition of 110 jobs at its LaFayette, Ga., cooking products production facility*, it is expanding again. In response to increased consumer purchases of the products made there, the plant will increase employment on first shift and add a new third shift operation, creating nearly 90 new jobs by the end of the year. 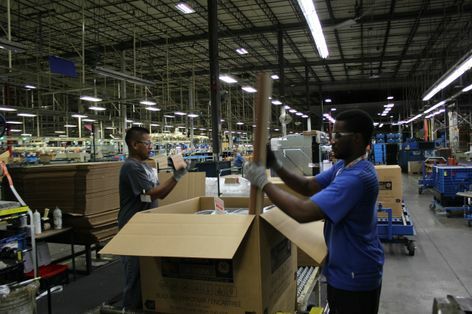 The Roper Corporation facility has been a vital part of the Northwest Georgia community since 1973. 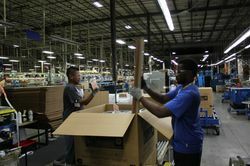 It is the largest single-site private employer in Walker County with approximately 1,750 employees, making GE’s newest line of electric and gas cooktops, freestanding ranges and electric wall ovens. Production operators Isaias Sebastian and Jacquez Wiggins work on the line in LaFayette, Ga.
GE Freestanding Ranges Have the Edge: GE's new ranges stand out in the crowd. Launched in August, the new gas and electric ranges feature stylish edge-to-edge cooktops to accompany other updates, including Bluetooth® technology. GE Next Gen Induction Cooktops with Smartphone-Inspired Controls: Three GE brands—Café™, Profile™ and Monogram®— have new induction cooktops to satisfy growing consumer interest in induction cooking. The newest induction cooktops serve up groundbreaking new features. 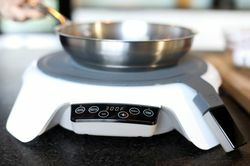 GE Brings a Restaurant Secret to the Home Chef: GE's new induction cooktop with Bluetooth-connected sous vide accessory brings restaurant technology and quality home. 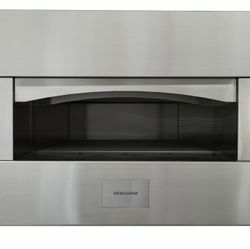 New GE Monogram French Door Wall Oven: The influence of the professional chef on consumers has inspired GE to introduce a new Café and Monogram French door wall oven with cooking features fit for the pros but designed for the home. 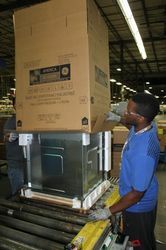 *GE’s LaFayette, Ga. cooking products facility, which goes by Roper Corporation, is a wholly-owned subsidiary of GE Appliances. Production operator Kimberly Stoner works on the line in LaFayette, Ga.
Interview with Melinda Garrett, third shift production operator at Roper Corporation. 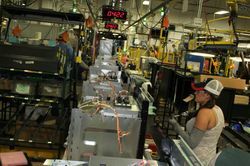 Interview with Scott Brown, manufacturing executive at Roper Corporation. 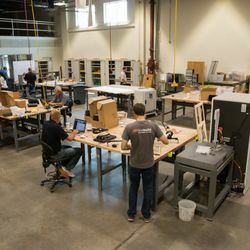 The Business of Making Things: FirstBuild Microfactory Opens in Louisville, Ky.